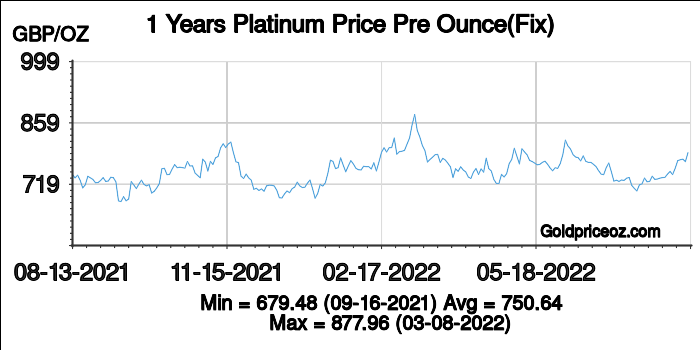 Platinum price in United Kingdom in Pound Sterling(GBP) per ounce is a free service provided by Platinum Price OZ website, where shows current platinum price(including bid price and ask price) and platinum price history chart(London platinum fixing price). 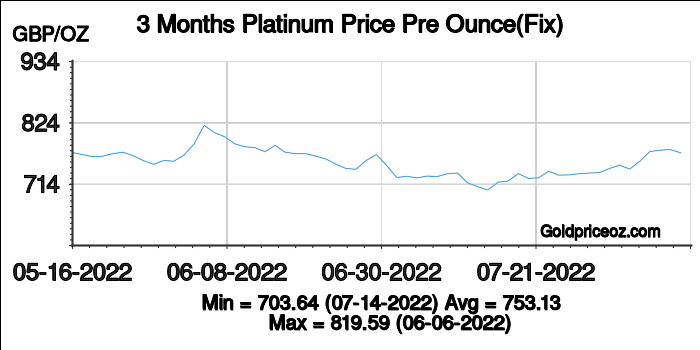 Platinum price in United Kingdom per ounce today is being updated once every 1 minutes. London gold market or London Bullion Market is by far the largest global centre for OTC transactions, followed by New York, Zurich, and Tokyo. 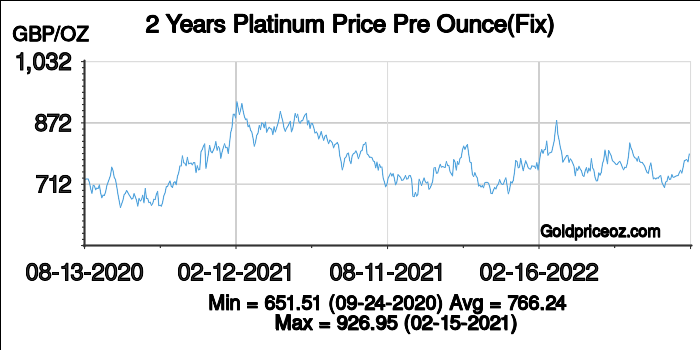 It owns a long history for gold and platinum trading. In 1804, London replaced Amsterdam as the center of world gold trading. In 1919, the London gold market was officially established, twice fixing gold price in a business day. So far, the London fixing price affects trading in New York and Hong Kong. In 1982, the London gold market specializes in spot trading; in April 1982 futures market opened. The gold trading is among members of the London Bullion Market Association (LBMA) , loosely overseen by the Bank of England. 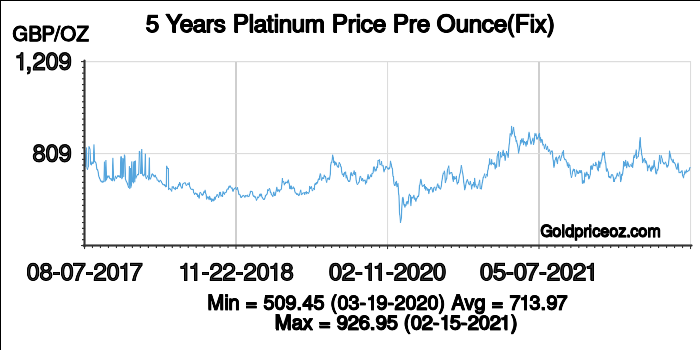 Unlike other gold markets, it is entirely inaccessible to individuals and retail trade, the minimum amount of gold traded (per single transaction) is 1000 oz. 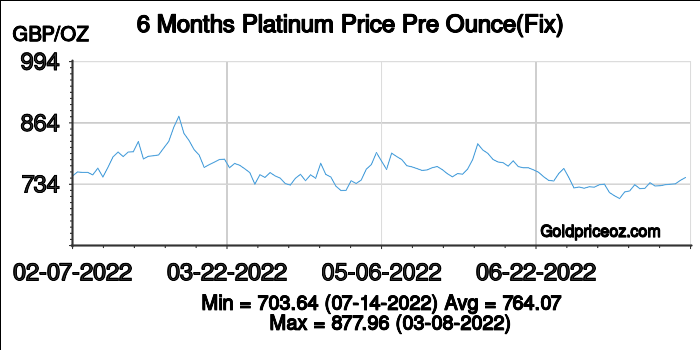 London gold priced is in U.S. dollars, using the unit of ounces that is equal to 31.1034768 grams. Gold offer is mainly based on the gold spot price in the London market. Its gold fineness standard are 995, 9995 and 9999 three kinds. Trading hours: round the clock. London spot price fixing: 10:30 am and 3 pm each business day in USD, GBP, and EUR.